One of two jockeys to win two stakes last week, Ruben Fuentes was named Jockeys' Guild Foundation Detox Jockey of the Week for January 7 – 13, 2019. The award is voted on by a panel of experts for riding accomplishments by members of the Jockeys' Guild, the organization which represents more than 950 riders in North America. Jockey of the Week is sponsored by FoundationDetox.com, America's #1 Equine Toxin Remover. Fuentes shipped back to familiar Turf Paradise for the two stakes, first winning the $30,000 Glendale Handicap aboard Impasse ($9.20) in a sweeping move from the back of the pack. He returned to the winners' circle two races later in the $75,000 Colton Fitzsimmons Mile, this time aboard post-time favorite and Brazilian-bred Ohio ($3.60) in a six-length romp. Both winners were trained by Michael McCarthy. 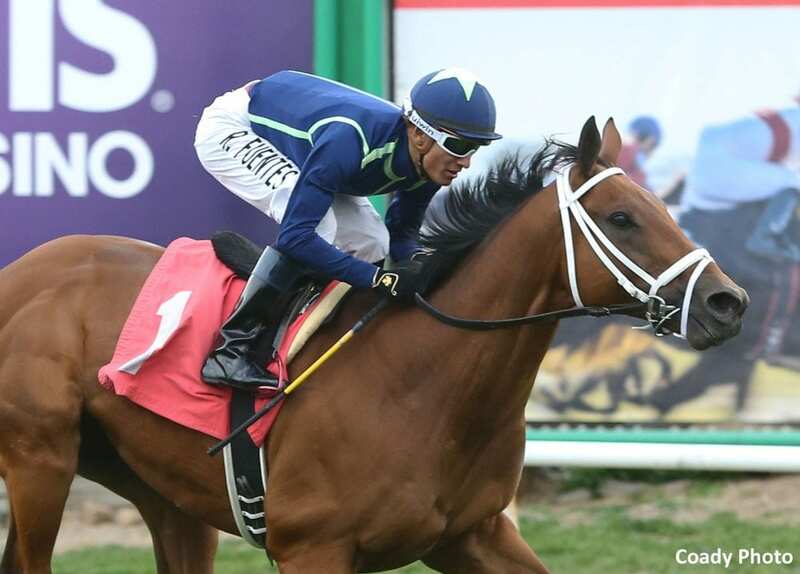 This entry was posted in NL List, People and tagged colton fitzsimmons mile, glendale handicap, Javier Castellano, jockey of the week, jockeys' guild, michael mccarthy, ruben fuentes, stakes, turf paradise by Press Release. Bookmark the permalink.